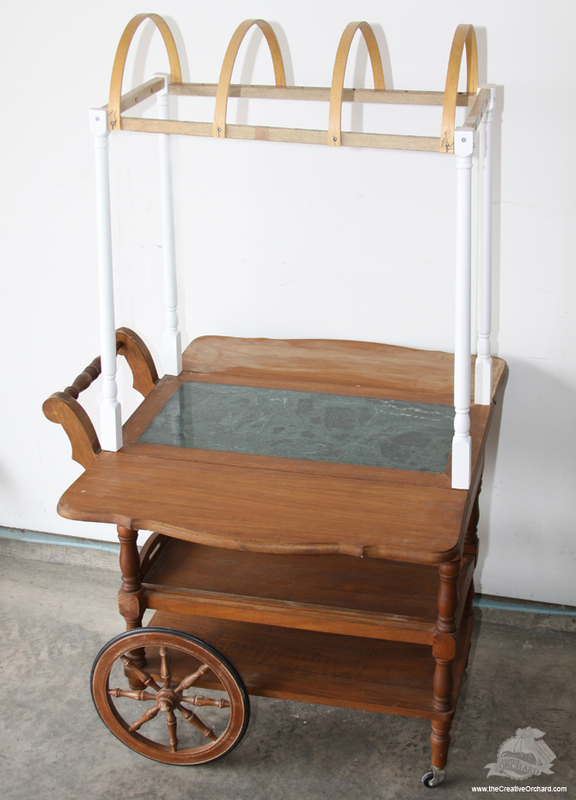 For my baby girl's nursery I had a strong desire to makeover an old tea cart. I thought it would have multiple functions throughout her childhood. While she is a baby it will be used as a changing table and baby storage in her nursery. Later when she gets older and her imagination expands into pretend play she could easily adapt it for a tea party, ice cream cart, lemonade stand, mobile book store, florist vendor, farmer's market or plush pet shop? To me the possibilities are endless and it can easily have many different functions for play time. Above are BEFORE & AFTER photos. The project was more challenging than I thought. It took me a while to figure out a solution on how to make the top of the awning an arched or barrel shape. The tea cart was very time consuming due to the drying process. I struggled a bit with the humidity and proper ventilation. 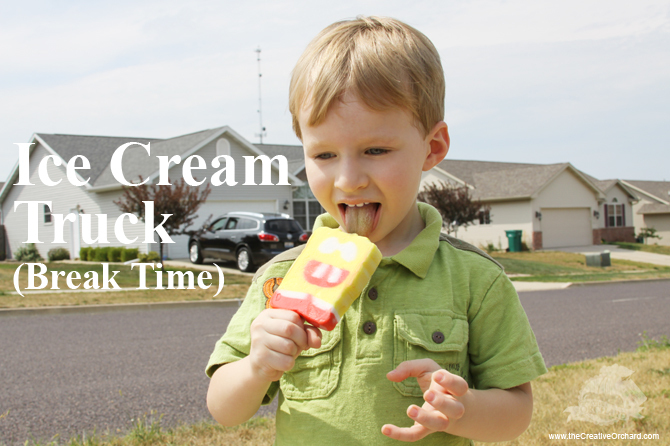 But thanks to our local Ice Cream Truck, my lil' handy man, Allen and I got to enjoy ice cream during our break time. 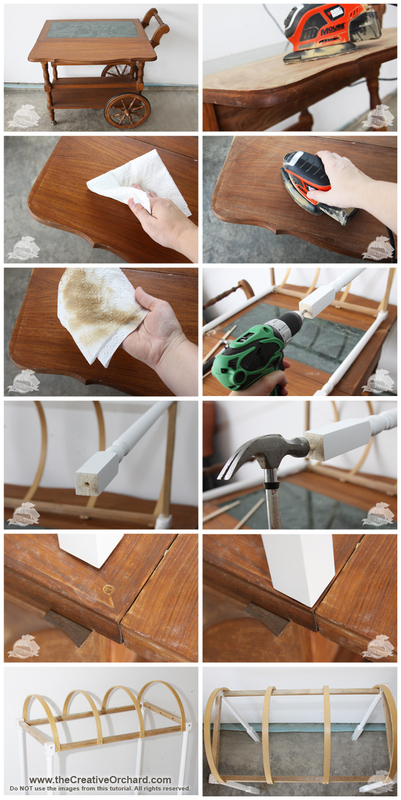 Here are step by step instructions on how I made over my old tea cart found on craigslist. I am not an expert, so feel free to alter my steps for your own project. 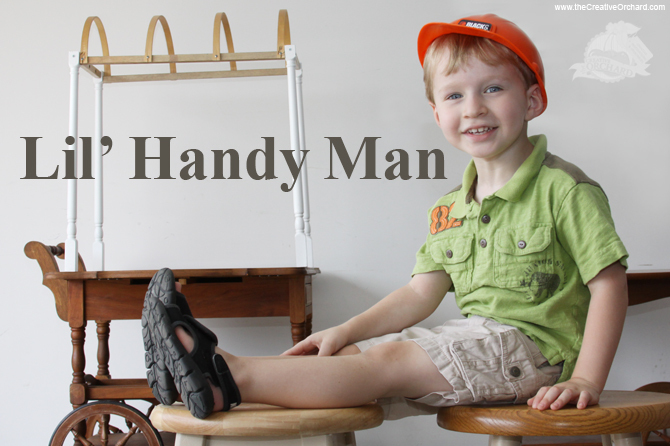 follow all safety precautions described on your tool manuals. Not responsible for accidents. Wow! What a magnificent makeover! Beautifully done in every detail! 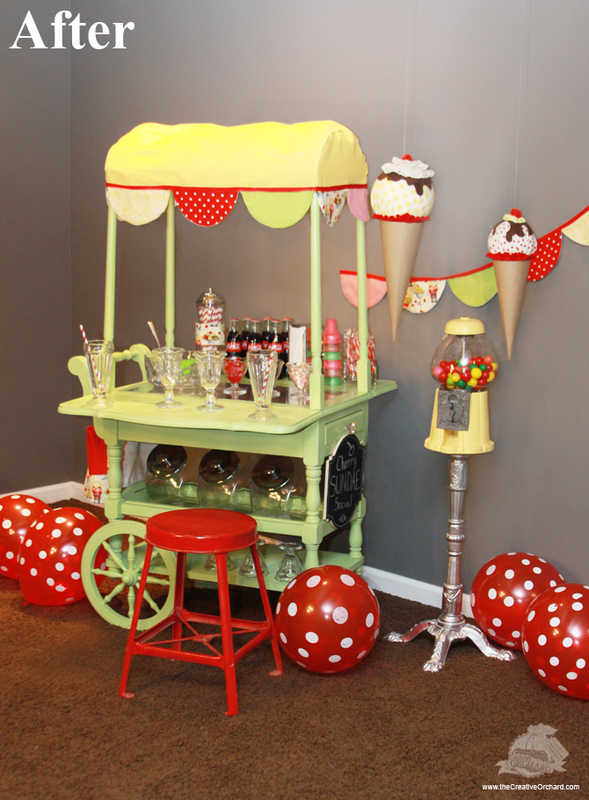 Lovely tea cart! You really love your kiddo huh.. Out of your love you've created a priceless tea cart. Thanks for sharing your detailed procedure on how to make it. I'll be working on it too. Hoping to hear more creative blogs from you. 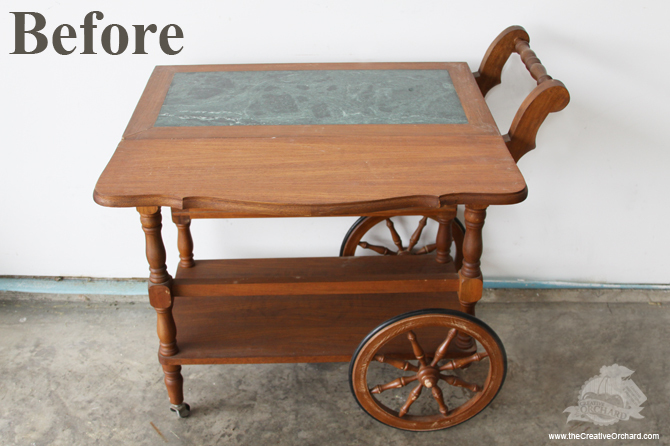 I have a cart JUST LIKE THIS in my garage, and now I am beyond excited about the possibilities! Thanks so much for the inspiration! Your cart is over-the-top adorable! Where did u find the cute little stool? Junk Sale find! It cost me five bucks.